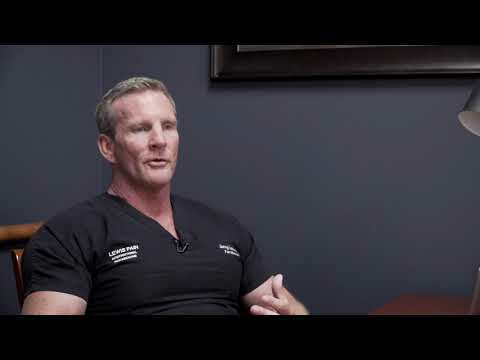 Dr. Lewis owner of Superior T discusses injections utilized for pain management. Pain management injections, that encompasses a lot of different types of injections and a lot of different areas of the body. An ideal candidate is anybody who is experiencing pain beyond what we would call the normal healing range or timeframe. If a patient is a candidate for an injection, which might include steroids and local anesthetics, it might include platelet-rich plasma, and it might include stem cell therapy, basically, the benefits of the injections are decreased downtime, improved healing, improved activities of daily living, decreased pain. Steroids stay in your system anywhere from three to four months. Somebody might see shorter effects. Somebody might see a year or two effects. It really kind of depends on the extent of degeneration that a patient has. We work to improve quality of life through the injections with the different therapies that we offer.